Manchester United are looking to bolster their attacking options in the summer transfer window and as per the latest reports going on in the media, they are linked with a top quality Tottenham star in the form of Christian Eriksen. According to Mirror Sport, Man Utd are ready to offer terms worth £240,000-a-week to the Danish international to secure his services. At the moment, he is only earning around £80,000-a-week. The British outlet have mentioned that the former Ajax man is a huge fan of Real Madrid but the Los Blancos are perhaps more interested in luring Paul Pogba and Chelsea’s Eden Hazard. Eriksen’s current contract with Spurs will expire in less than 15 months, still, as per Mirror Sport, he could cost around £95million or more. The 27-year-old star has been sensational for Spurs under the management of Mauricio Pochettino and he is at the peak of his game at the moment. 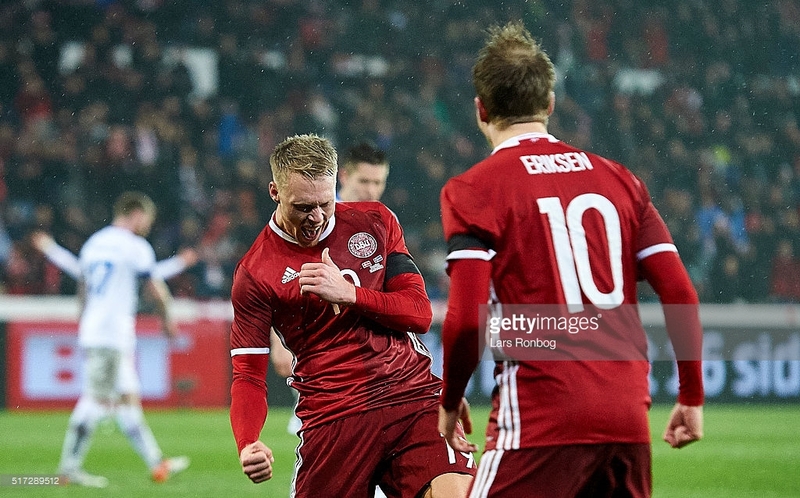 He has won the Danish POTY award three times and so far, he has made 86 appearances for the senior national team. In the current campaign, so far, Eriksen has started 25 Premier League fixtures and directly contributed in 18 goals (6 goals and 12 assists). The versatile playmaker can effectively play in multiple offensive positions and without doubt, he would be a top signing for United if Solskjaer can somehow lure him. In my view, United should push to hire his services but in all fairness, the club must look for a fair price. Clearly, a fee of £95million is way too high for someone, who will be out of contract next year.